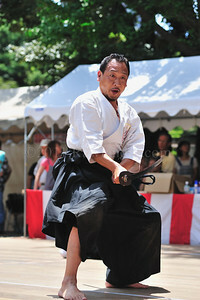 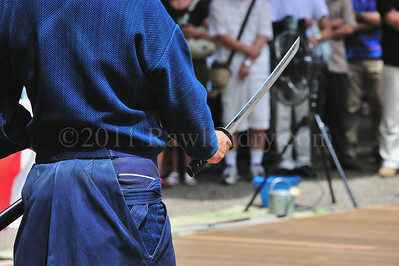 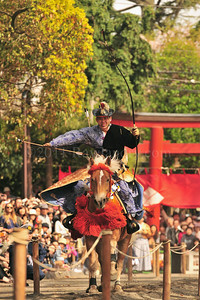 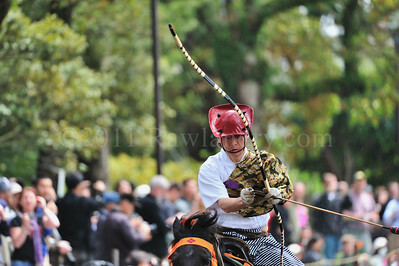 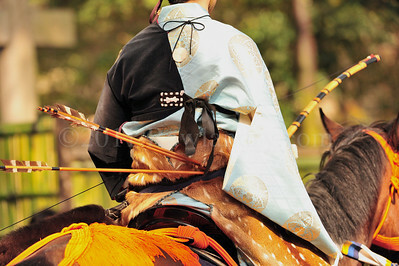 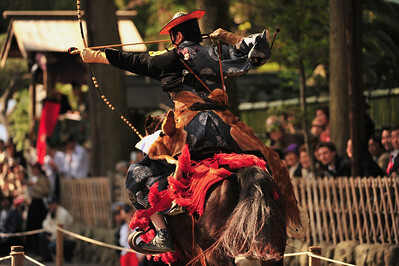 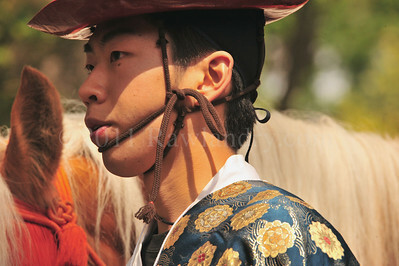 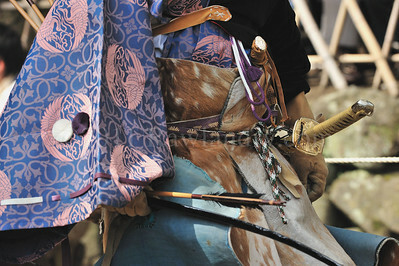 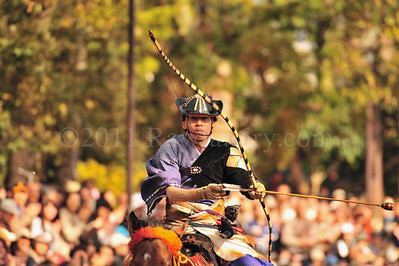 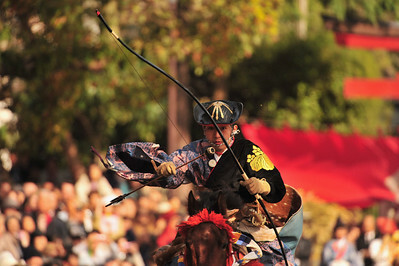 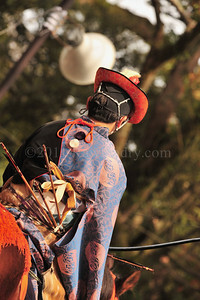 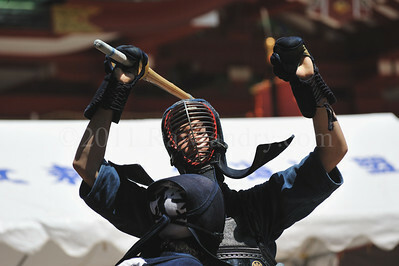 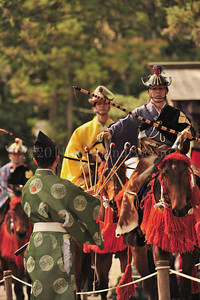 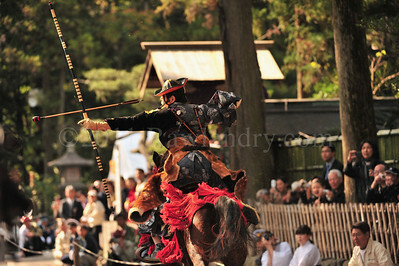 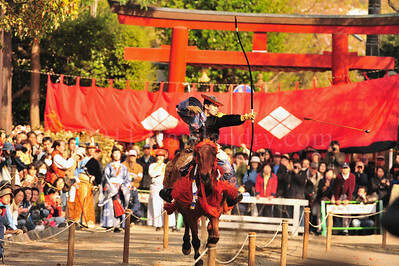 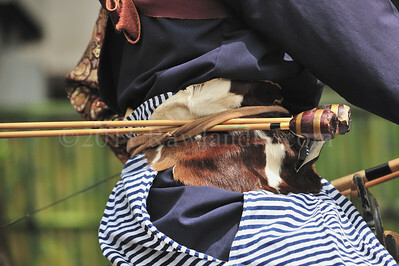 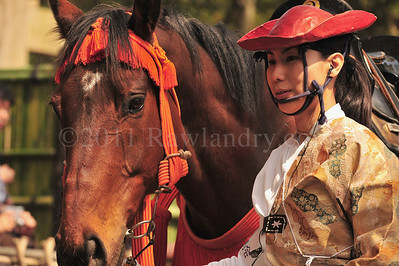 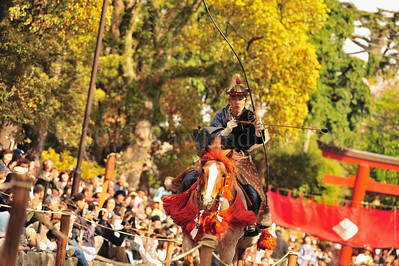 Yabusame (流鏑馬) is a type of Japanese archery, one that is performed while riding a horse. 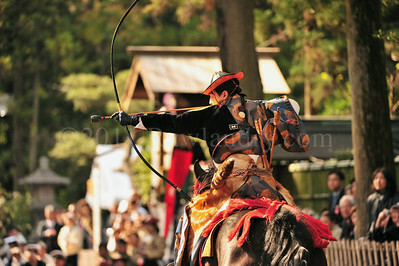 The archer shoots a special "turnip-headed" arrow at a wooden target. 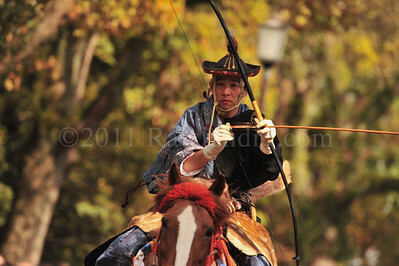 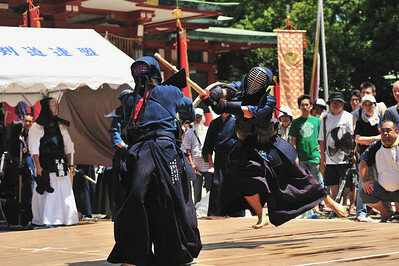 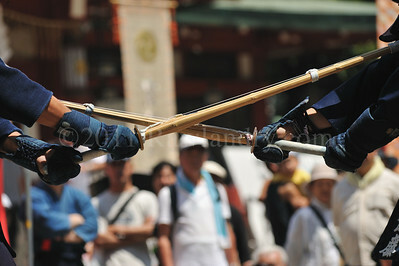 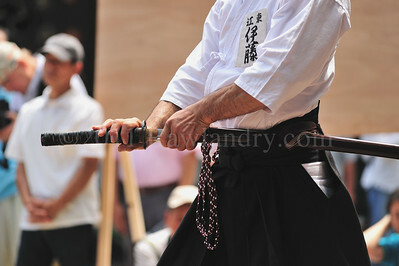 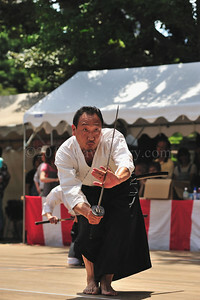 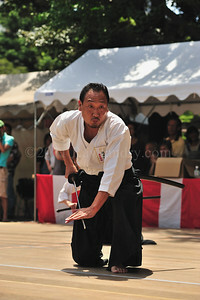 This style of archery has its origins at the beginning of the Kamakura period. 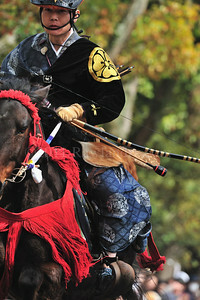 Minamoto no Yoritomo became alarmed at the lack of archery skills his samurai had. 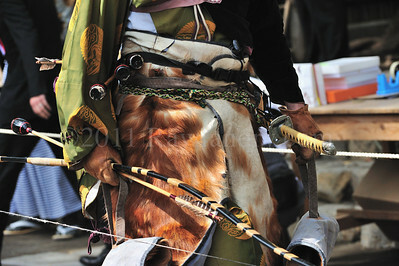 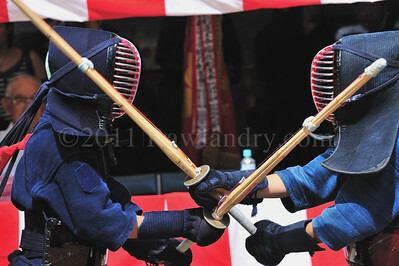 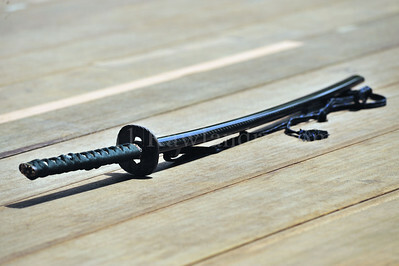 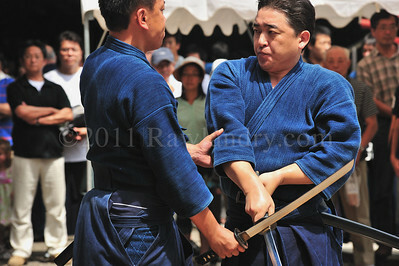 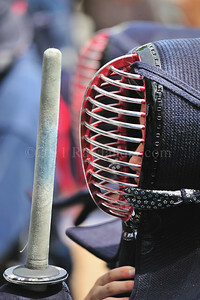 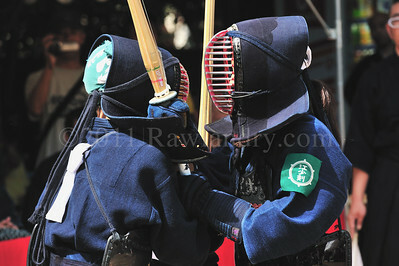 He organized yabusame as a form of practice.